Pcmover is the only software that automatically transfers applications, files, settings, and user profiles from an old PC to a new one! It's the easiest way to move to a new PC without leaving anything behind, even when there are different versions of Windows on the old and new PC. Nothing is changed on the old PC and nothing is overwritten on the new PC. This Edition of PCmover Ultimate also includes Laplink Software software safeerase and a Laplink Software software super speed USB 3.0 cable. Use safeerase to permanently Erase your sensitive and confidential data before recycling or selling your old PC. 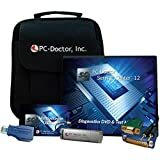 Buyer should have an Apple Mac computer to use with this USB so the buyer owns the license to install their own operating system onto their mac. Norton Utilities fixes common PC problems, frees up memory, speeds startup time, and boosts program and overall system speed to help keep your PC running fast and error-free. Unneeded files, outdated registry entries, and hard disk problems can slow down your PC and even crash it. 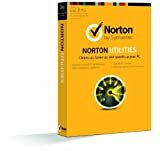 Norton Utilities cleans up and speeds up your PC to help it run like new. 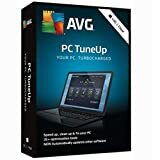 It finds and fixes Microsoft Windows issues to prevent PC freezes, crashes, slow downs, and loss of your Stuff. It helps your PC start up faster. It repairs and optimizes your Windows registry to improve stability and launch programs quicker. It even cleans up your hard drive to boost overall PC performance and give you more disk space for your Stuff. Complete Repair and Re-Install on any PC or Laptop to its original condition FACTORY FRESH!!! Windows System Recovery Disk has a complete recovery center that provides you with the option of recovering your system via automated recovery (searches for problems and attempts to fix them automatically), rolling-back to a system restore point, recovering a full PC backup, or accessing a command-line recovery console for advanced recovery purposes. A product key IS REQUIRED to activate. Use your original Windows License/COA/Product Key to activate. If you bought your PC from a major retailer, you didn't get this CD with your hefty purchase. 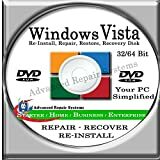 This disk is the best solution to recover or re-install your existing version of windows if you are having system or software failures. The best of AVG security and performance includes 6 apps and over 80 features to cover & remotely manage all of your family's devices. Smartest Cleaner Yet: Deep cleans your hard disk to zap junk from over 230 applications, rid you of duplicate files, and help keep your browser lightweight. Automatic Maintenance: Automatically performs routine maintenance. Economy Mode: Do more with longer battery life. The best of AVG security and performance includes 6 apps and over 80 features to cover and remotely manage all of the devices in your family. 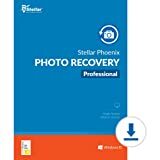 Stellar Photo Recovery Professional is a unique blend of media files recovery and photo repair utility. It helps you in all photo, video, and audio file loss situations. 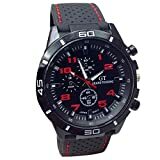 The software also has the functionality to repair corrupt photos of JPEG/JPG, TIFF, DNG, and RAW file formats that give errors while trying to open or have turned grainy, pixelated, blurry, and greyed-out. Complete Photo Restoration Tool: Restores lost photos lost due to accidental deletion, formatting or corruption of the storage drives, Also repair corrupt or damaged photos. Recovers camera specific RAW photos: The software efficiently recovers RAW file formats of all cameras including DSLRs, digicams, GoPro etc. Enhanced user interface with customized options: The enhanced interface make the usage of the tool hassle-free and interesting. Create Image of Selected Media: The software allows you to create an image of preferred storage device for recovery at a later stage. Over 500 tests across four diagnostic environments -Windows, DOS, Bootable, and Android Diagnostics- all from the included Multipurpose USB Device. Supports the latest Windows 10, Mac and Android devices! Powerful scripting capabilities to customize testing to your specific needs. The loopback adapters -along with the optional power supply tester and PCI/miniPCI Post cards included with the Premier Kit- help you find problems fast. The professional canvas case keeps it all together! Service Center 12 provides the same PC-Doctor diagnostic tools used by the world's top original equipment manufacturers to increase testing accuracy and troubleshoot more efficiently. Use Service Center to identify hardware issues-even intermittent ones-then complete your repairs and verify that problems no longer exist. Service Center generates professional reports for your customers with your logo, technician and contact information, list of tests performed, actions take to fix issues, as well as a complete system inventory that includes system model and serial number. With hundreds of diagnostics, a BSOD analyzer, four testing environments -Windows, DOS, Bootable and Android Diagnostics- and the accompanying hardware loopback adapters, you will find problems quickly and accurately in order to provide the best possible experience for your customers. - Fully compatible with Windows Vista through Windows 10! - New! Certified NIST-Compliant Drive Erase utility with customized sanitation reports, ensuring the most accurate and comprehensive drive erasure available. - New test support for NVDIMM, Video Interactive testing, AMD Freesync, NVIDIA CUDA, improved Power State testing and more! 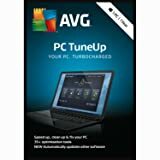 - Integrates with PC-Doctor Service Center Remote with free cloud report storage and optional remote diagnostics! Warning: If you see the error message "copy of install mac os cannot be verified corrupt". This means your Mac computer time is out of sync. It is NOT the problem of the USB drive. It's a simple fix. Please Google/Youtube for solution.